NY, 1975. Saddle-stitched. 8.5" x 11". 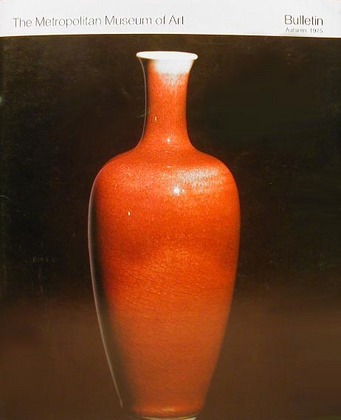 Highlights of Chinese ceramics - great survey of the topic. Profuse color and b/w reproductions from museum collection and exhibits.